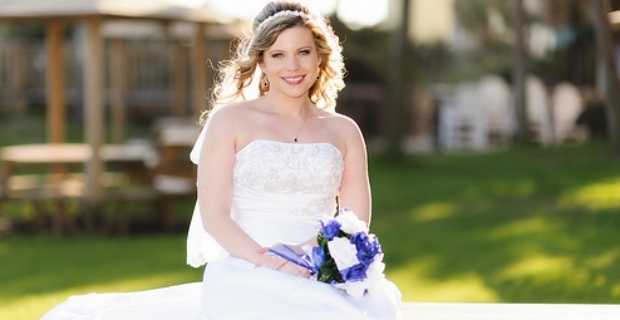 If you’re looking for a flawless look on your wedding day, go for bridal make up using airbrush style. 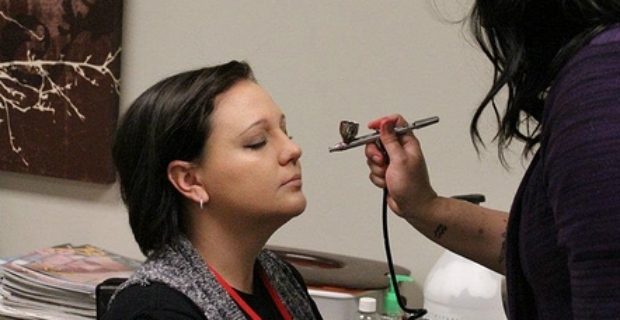 What was once accessible only to professional makeup artists is now available for anyone who wants to produce the perfect effect on an important life event. We show you some tips to create a great look on your wedding day. Airbrush makeup has many advantages such as achieving a flawless appearance and providing a natural looking effect. In addition, airbrush makeup is actually hygienic since you don't need touch the face when applying cosmetics. It stays longer for at least 6-10 hours with some lasting for 25 hours. No need for touch ups from the moment you leave the house to the time you leave for your honeymoon. It also cuts down makeup application time. You do need to practice to get the best results. Beauty kits for airbrush makeup include an air compressor, air gun or stylus, stencils and guard. Foundation, eye, cheek and even lip colour are also provided. 1. To start the bridal make up, prepare airbrush set. Prep the face by cleansing and exfoliating. Keep hair out of the face using clips or a hair band. Apply moisturiser on dry areas. 2. Select your foundation shade to cover the face. Be sure it matches your skin tone and colour. Shake the bottle well. Put 6-12 drops in the airbrush gun. 3. Use the stylus as instructed on the leaflet. Hold the gun 6 inches away from the face. Depress the trigger and use light circular motions to apply the foundation. Hold the stylus closer to your face when you need more coverage. Remember, airbrush makeup works by layering so you need to spray your face a second or third time working on areas which need more coverage. Pulling back the trigger farther also releases more makeup so make sure to balance your movements. 4. If you’re uncertain where the makeup is going, use the gun without any product just to get the feel of air on the skin surface. Do multi loop motions all the way to the cleavage. Contour, highlight or shade below the cheekline or around your nose for a straight or slimming effect. 5. For the cheek area, add 2-3 drops of blush in the compartment. Hold the gun 4 inches away and work your way from the apple of cheek and back. 6. The gun should be at least 2 inches away when working on the eyes. Put a shield to protect eyes and avoid over spraying. 7. Define eyebrows using stencils provided. 8. If dew spray is included, use it for a moist effect. Your wedding is important. If you’re not comfortable doing your own look or even investing in an airbrush beauty kit, go to the salon. Or, ask someone who knows how to put on bridal make up using airbrush style to do it for you. Whether you’re doing it yourself or getting a pro, make a trial run first to see how it looks on your face. Airbrush makeup is not for everyone but it is an option from the traditional methods of cosmetic application for impeccable results.